I followed a link from facebook and read the most beautiful letter ever written. On November 9th of 2004, Stieg Larsson — journalist and author of the posthumously published Millennium series of novels, the first of which wasThe Girl with the Dragon Tattoo — passed away after suffering a heart attack. He was 50-years-old. 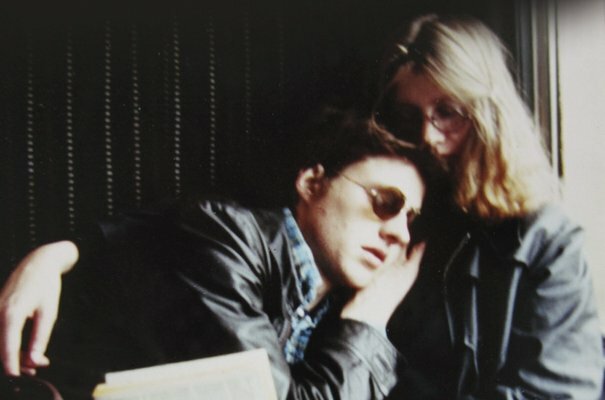 The next month, Stieg’s long-term partner, Eva Gabrielsson, found the following letter amongst his belongings, marked “To be opened only after my death,” and written prior to a trip to Africa in 1977 when he was just 22. Eva read extracts of the letter at Stieg’s funeral, the day after its discovery. It’s over. One way or another, everything comes to an end. It’s all over some day. That’s perhaps one of the most fascinating truths we know about the entire universe. The stars die, the galaxies die, the planets die. And people die too. I’ve never been a believer, but the day I became interested in astronomy, I think I put aside all that was left of my fear of death. I’d realized that in comparison to the universe, a human being, a single human being, me…is infinitely small. Well, I’m not writing this letter to deliver a profound religious or philosophical lecture. I’m writing it to tell you “farewell.” I was just talking to you on the phone. I can still hear the sound of your voice. I imagine you, before my eyes…a beautiful image, a lovely memory I will keep until the end. At this very moment, reading this letter, you know that I am dead. There are things I want you to know. As I leave for Africa, I’m aware of what’s waiting for me. I even have the feeling that this trip could bring about my death, but it’s something that I have to experience, in spite of everything. I wasn’t born to sit in an armchair. I’m not like that. Correction: I wasn’t like that…I’m not going to Africa just as a journalist, I’m going above all on a political mission, and that’s why I think this trip might lead to my death. Straighten up, square your shoulders, hold your head high. Okay? Take care of yourself, Eva. Go have a cup of coffee. It’s over. Thank you for the beautiful times we had. You made me very happy. Adieu. I kiss you goodbye, Eva. What would you write to the love of your life to read after you are gone?